There is a new Hyundai SUV in town - we're proud to introduce the new Hyundai Kona to our Orange Park and Fruit Cove drivers. 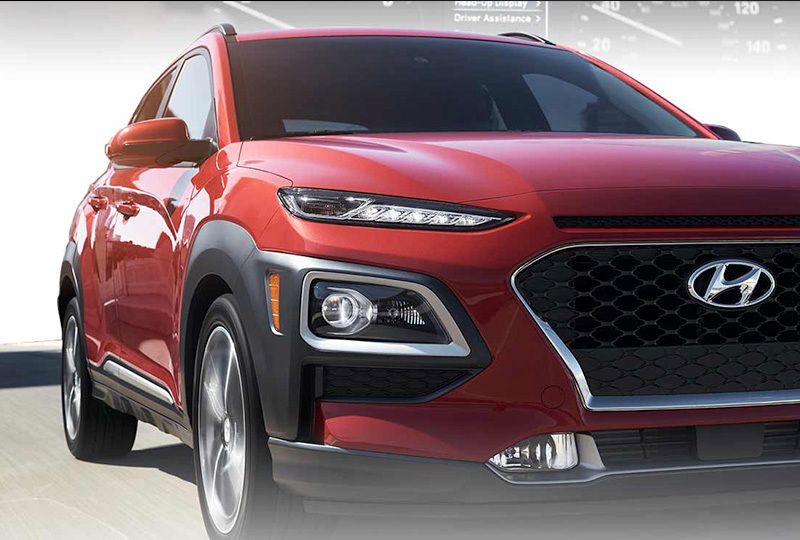 Available in four trim levels, the Hyundai Kona offers a plethora of features like a 7-inch display audio with AM/FM, Android Auto™ and Apple CarPlay™ compatibility, Bluetooth®, cruise control, and a lot more. 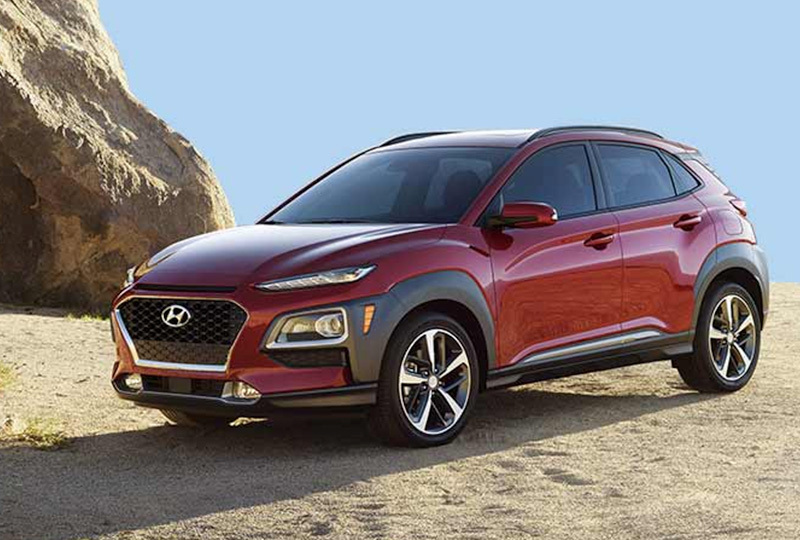 The Hyundai Kona was also designed to stand out, and with exterior colors like Surf Blue, Lime Twist, and Pulse Red, you'll have no problem doing so. If you are interested in learning more about the newest member of the Hyundai roster, come down to Hyundai of Orange Park to view our entire inventory. We know you won't be disappointed with our large selection. 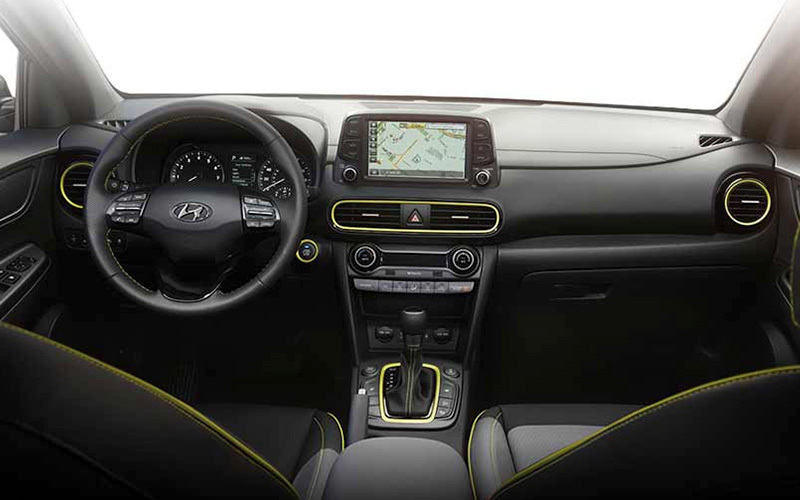 The interior of the Hyundai Kona has everything you're looking for in an SUV. Thanks to the standard 60/40 split fold-down rear seatback, you can make room for anything you need to bring along for your next adventure. Also inside, the available sunroof gives you access to blue skies and adds ambient light throughout the cabin. During the colder months, the available heated front seats will give you an extra boost of warmth. When it comes to technology, Apple CarPlay™ and Android Auto™ compatibility put your compatible smartphone apps you prefer right your touchscreen display. 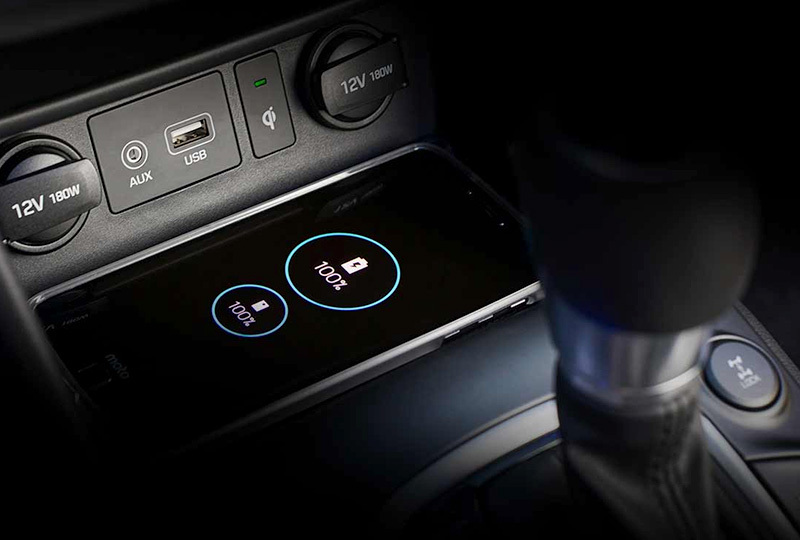 Now, you have the ability to access maps, navigation, your contacts, text messages, phone calls, and your music playlists safely while driving using your touchscreen or voice recognition. In fact, you won't find Apple CarPlay™ and Android Auto™ inside some of the Kona's competitors. The 2018 Hyundai Kona from Hyundai of Orange Park in Jacksonville, FL, serving Ponte Vedra and St. Augustine, is a brand-new SUV designed with top-notch features and a stunning exterior design. Flowing lines and an elongated front end make this SUV appear in motion even when standing still. The sharp shoulder line and alluring profile grab attention with minimal effort. A 2.0L 4-cylinder engine is standard on the SE trim, but upper-level trims will have a turbocharged option for aggressive power. Conquer all new destinations with the available all-wheel-drive system. While you travel, enjoy premium comfort with available leather-trimmed seats and split-folding rear seats that offer extra storage space on demand. 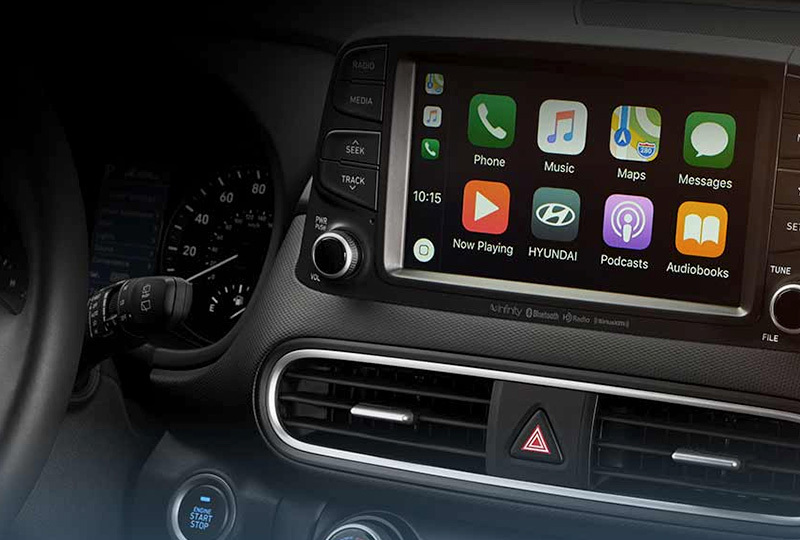 Apple CarPlay and Android Auto smartphone integration are standard features of your 7-inch audio touchscreen display. An available wireless charging pad keeps mobile devices handy so you can quickly phone a friend or take advantage of a photo opportunity along the way. Now is the best time to buy a new Hyundai! We have an amazing selection of 2018 models at incredible savings, and new auto loan rates have never been lower. Take a test drive today to experience all that Hyundai has to offer. Visit the dealership located at 7600 Blanding Blvd., Jacksonville, FL 32244. We can't wait to see you in the 2018 Hyundai Kona of your dreams! Available All Wheel Drive with multi-link rear suspension will put you in control of the road no matter what the weather conditions are. Plus, the new Kona can provide you with the grip you need to help you travel around Middleburg FL safely and securely. The multi-link rear suspension enhances handling by keeping your rear tires firmly planted on the road surface. Now, there's no reason to stress about driving on the slippery or wet roads during rainy season. With solid performance features, you're going to need your Kona to be well-equipped with the latest safety technologies. For instance, Forward Collision-Avoidance Assist with Pedestrian Detection is a feature that uses a radar system and camera to detect any pedestrians that might be in your way. If a collision is anticipated, automatic braking and an audible warning will activate. 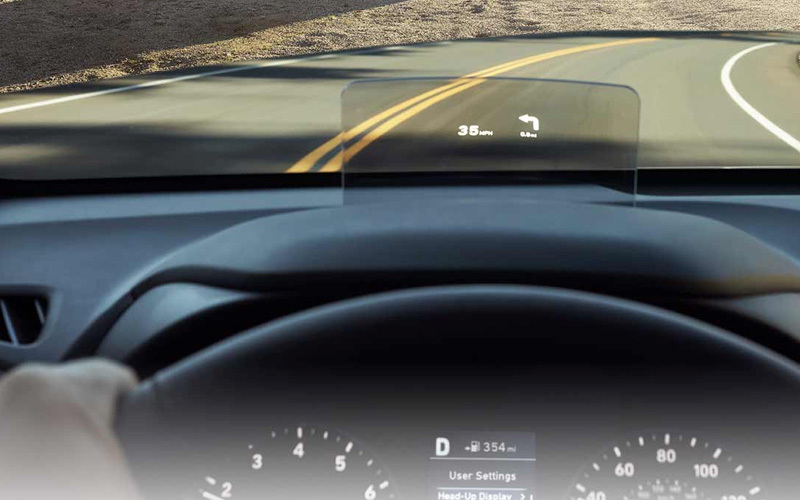 Another available safety feature, Blind-Spot Collision Warning with Rear Cross-traffic Collision Warning, will provide you with audible and visual alerts if another vehicle happens to be detected in your blind spot. Overall, the Hyundai Kona has your back. Stop by and visit us today to check out the new Hyundai Kona and everything it has to offer. You surely will not be dissatisfied when you come in for an exclusive look inside this first-ever SUV. Please feel free to reach out to our friendly team set up your private test drive. Once you take a seat behind the wheel, you will see how many exciting and appealing features it offers families throughout Jacksonville, FL and the surrounding communities. From all of us at Hyundai of Orange Park, we look forward to meeting you soon.